No matter what our plans might be on any given day, no one wants to have them spoiled because our brakes failed and we ended up spending our day in the repair shop, or even worse than that, we end up having an accident because our brakes didn’t work. If this hasn’t happened to you yet, be thankful, and keep these things in mind so you can keep avoiding brake failure. The best way to avoid brake failure is by listening to your vehicle and practicing preventative maintenance. Brakes will squeak, grind and click at different times, listen for when the noise changes so you can have them checked out. A squeaking noise can indicate thin or worn brake pads. Replacing brake pads early can prevent future problems. If pads wear down to the rotors, it can cause further damage and cost more to repair. Some people make the mistake of thinking that brakes are only one part of their vehicle, but they’re actually a complex system of parts and components that spread throughout the vehicle. The brake pedal is connected to the pistons, and the pistons are connected to the brakes. 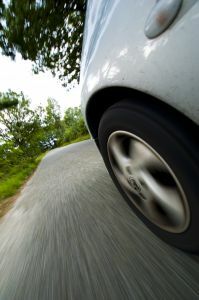 Each vehicle has two sets of brakes, front and rear, and both sets depend on friction to control and stop the vehicle. There are a few things that can interfere with the friction needed and then your vehicle will have trouble avoiding brake failure. Oil leaks can remove the friction inside the braking system. Oil is needed throughout the vehicle to keep it running smoothly. 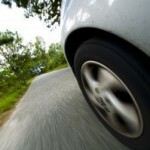 Also if the brakes routinely overheat, they can create hot spots in the brake rotors or drums. These hot spots resist friction and reduce the grabbing mechanism in the brake system. The way we drive can cause these hot spots. Avoid “riding” your brakes. Apply moderate pressure and then release the brake which allows them to cool. Riding the brakes causes them to overheat and create the hot spots. Pay attention to your vehicle’s messages. You may start hearing squeaking or grinding noises when you apply the brakes, or feel a pulse in your brake pedal. It may pull to one side or the other during the braking process. If you want to continue avoiding brake failure, don’t wait or ignore the problem, get it into your auto repair shop today.